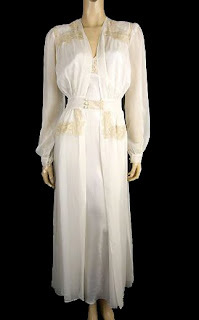 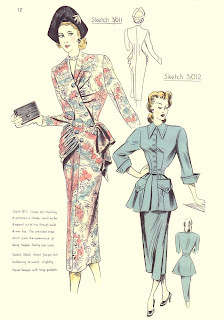 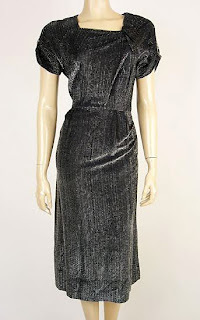 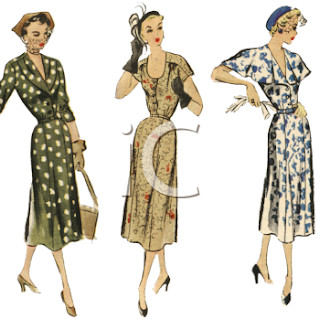 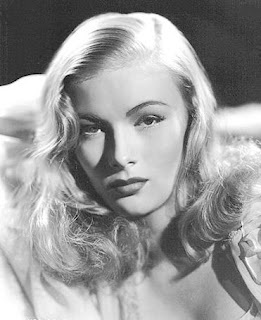 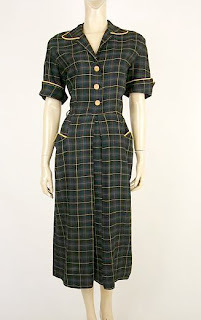 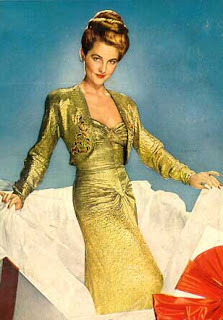 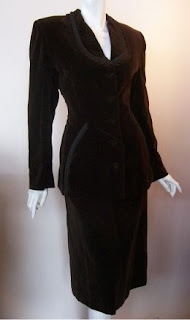 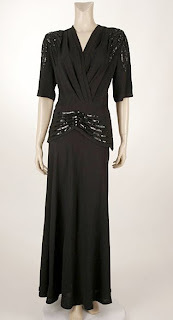 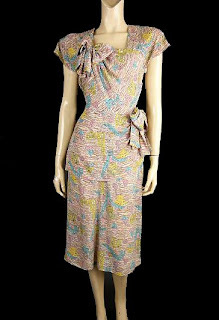 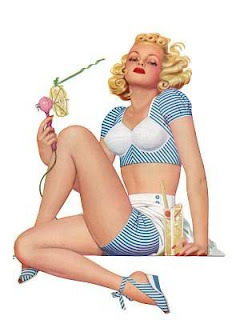 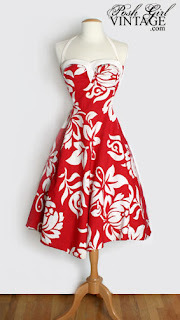 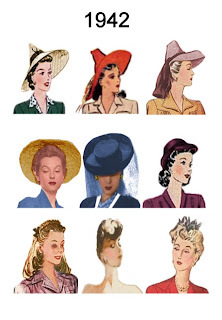 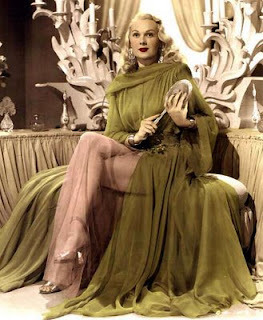 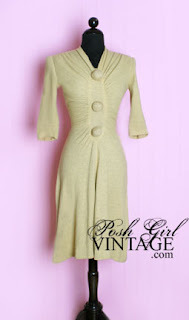 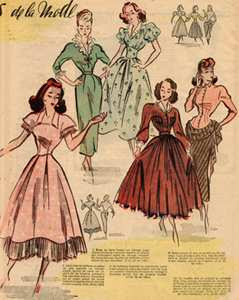 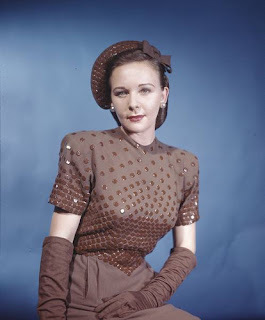 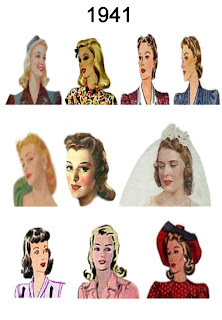 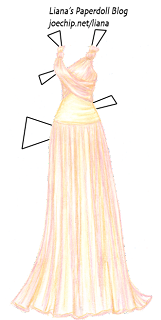 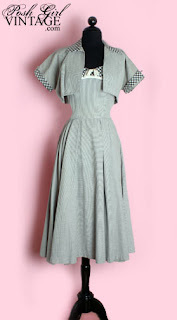 The 1940s saw two distinctive styles in women’s clothing. 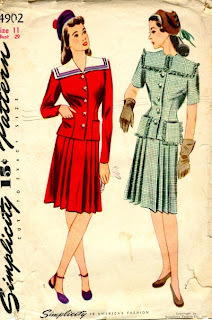 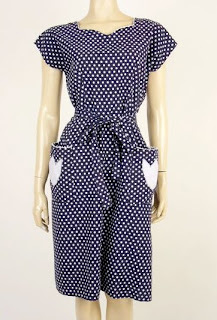 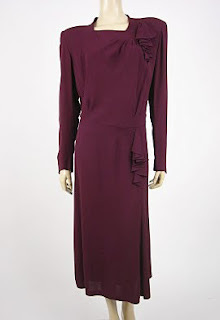 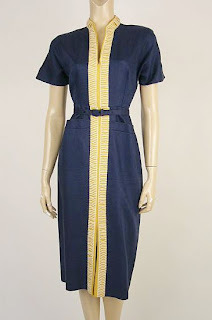 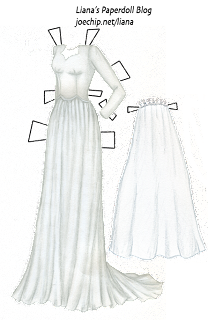 From the beginning of World War II in 1939 till the dawn of the New Look in 1947, women’s dresses were knee-length and featured padded shoulders – one of the few adornments in clothing that was otherwise simple, thanks to wartime rationing. 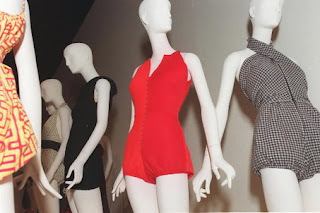 Sportswear became more common and women used a lot of ingenuity in mixing separates to make a wardrobe seem more diverse than it was. 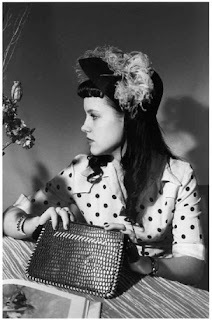 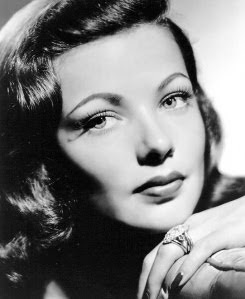 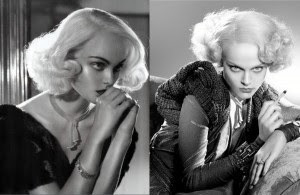 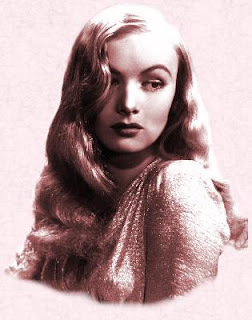 Homemade accessories and elaborate curls allowed women to show their flair without expense or waste. 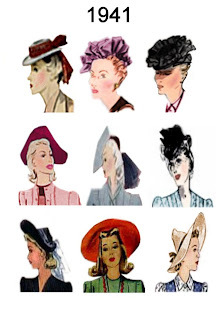 Hats, especially made from fabrics recycled from older pieces, went wild. 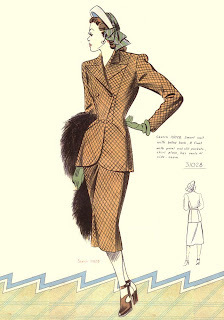 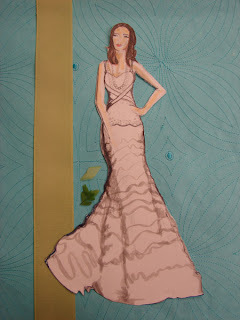 Silhouettes were austere, but even in suits or factory overalls, curls and bright lipstick kept the look feminine. 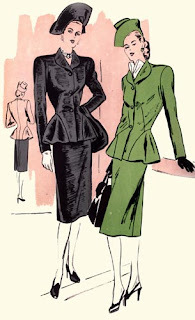 With jackets shorter, the peplum became hugely popular, helping to narrow the hips while showing off a trim waist. 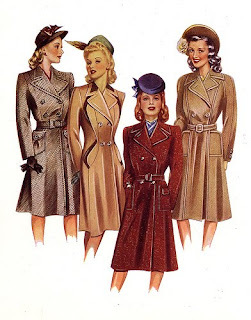 Clothes were simple and practical, but women still managed to look attractive even during the hardest days of the war. 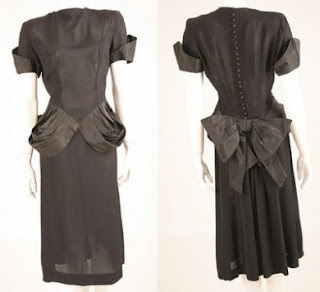 With the war over and materials available again, the Paris couturiers, who had been sidelined during the occupation of France, once again took the fashion helm. 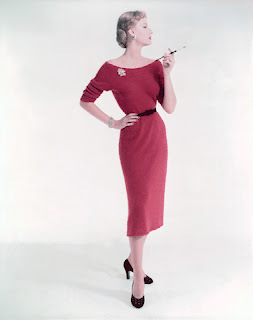 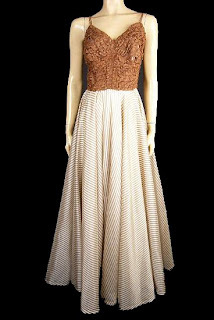 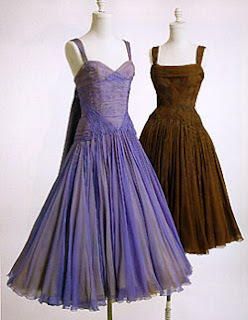 Christian Dior pioneered the New Look, which featured a nipped waist, longer lengths and fuller skirts, with yards and yards of fabric used and a more classically feminine image created. 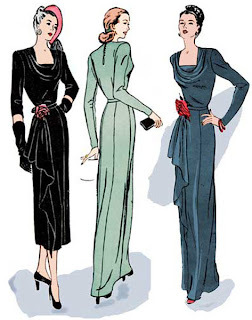 The women who had come to love the simplicity of the wartime styles protested, but this time, Paris won.